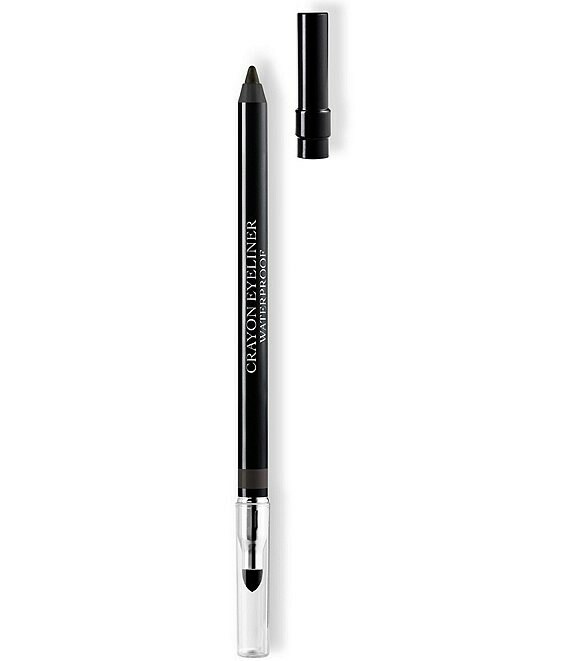 Long-wear waterproof eyeliner pencil with blending tip and sharpener. The essential waterproof eyeliner pencil for a flawless, ultra long-lasting line. The waterproof eyeliner pencil sculpts and defines the eyes with an extremely precise line that lasts all day long. Enriched with volatile silicones, its formula offers bold color, groundbreaking hold and excellent resistance to water. The waterproof eyeliner pencil is the perfect tool for simply contouring the eye or to create the bolder look of a smoky eye. 1. Place the waterproof eyeliner pencil at the inner corner of the eye. 2. Trace a line along the root of the upper lashes. 3. For even bolder eyes, rim the lower lashline as well. 2. Apply in touches along the lashline, thickening the line from the center to the outer corner of the eye. 3. Blend the line with the foam tip to create a smoky effect.